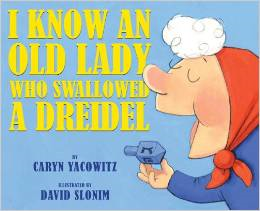 Bubbe swallows a dreidel she thought was a bagel! Who knows what might happen next? Click here for Old Lady trailer! Illustrator David Slonim includes hilarious parodies of famous paintings in this Chanukah picture book based on the beloved folk song. All 7 titles of the Native American series are now available in hardcover and in paperback. The Great Emperor of All China orders a the stone carver Chan Lo to carve a dragon of wind and fire, but is that what the stone wants to be? How did the Comanche live long ago? What about today? Who were the Seminole and why are they called "the undefeated"? Old Juana grows the biggest and best pumpkins! "What is her secret ?" wonders Foolish Fernando. Now the fun begins! A "dragon of wind and fire" demands the great Emperor of All China. But is that what Chan Lo hears in the stone? Ten year-old Chessa is in a play. Join her in rehearsal, set-building, makeup, performance. All aspects of theatre--on onstage and backstage!